*We were guests of Tourism Winnipeg and Travel Manitoba for the purpose of this review. All opinions are 100% our own. We honestly didn’t know what to expect at this museum, but it far exceeded our expectations. So much so, it’s difficult to put into words. 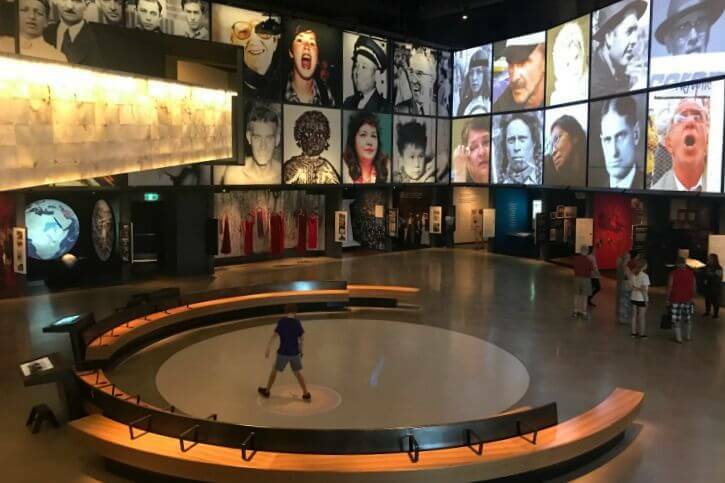 A visit to the museum is a journey through human rights, from the early foundations, through the difficult times along the road, to present day. Visitors begin on the main level, greeted by a Welcome Wall where shadow figures write the word “welcome” in hundreds of languages before disappearing off screen. The room is rather dark, but this serves a purpose. As guests ascend the ramps of the museum, the exhibit spaces become brighter, symbolizing the progress of human rights through history. Every level has a memorable experience and exhibit. We loved the exhibit Canadian Experiences, with 19 rooms, each showcasing a human rights story. Indigenous Perspectives tells the stories of First Nations, Métis and Inuit peoples, and the presentation is beautiful. Every single exhibit has a purpose, and we left there speechless, knowing it would take awhile to digest everything we had seen. We only spent a few hours at the museum, but do yourself a favor and plan on spending at least a half day or more. There’s a lot of information to take in, but it’s so worth it! 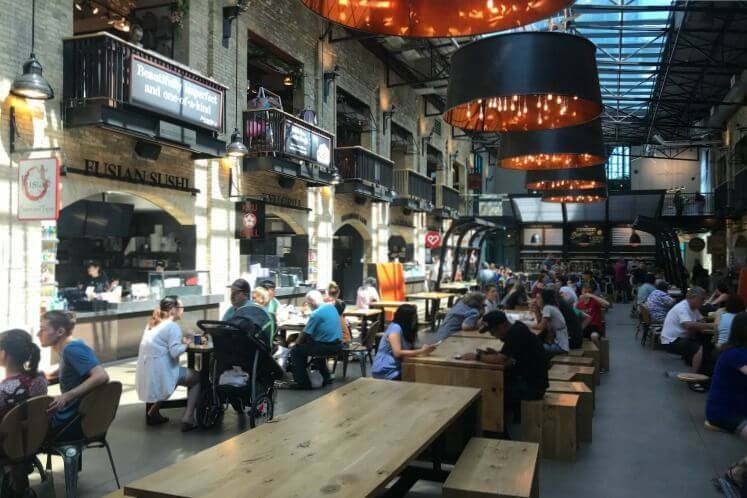 The Forks Market used to be two separate horse stables for competing railroad companies in the early 1900s. Today, those buildings are joined by bridges and a courtyard to form an awesome food court and shopping center in the downtown area. We loved the pizza at Red Embers, the empanadas and sandwiches at Empanadas & Co., and the macarons at Jenna Rae Cakes. It’s a fun place to spend an afternoon. Lots of food and shopping options! Adjacent to The Forks Market is the Forks Harbour for boat rides along the Assiniboine and Red Rivers. We took a fun forty five minute ride which gave us an historical overview of Winnipeg and a view of the city from a different perspective. We love heading out on the water, so this was a great break from walking around the city. Gorgeous view of the Canadian Museum for Human Rights and Esplanade Riel from the water. 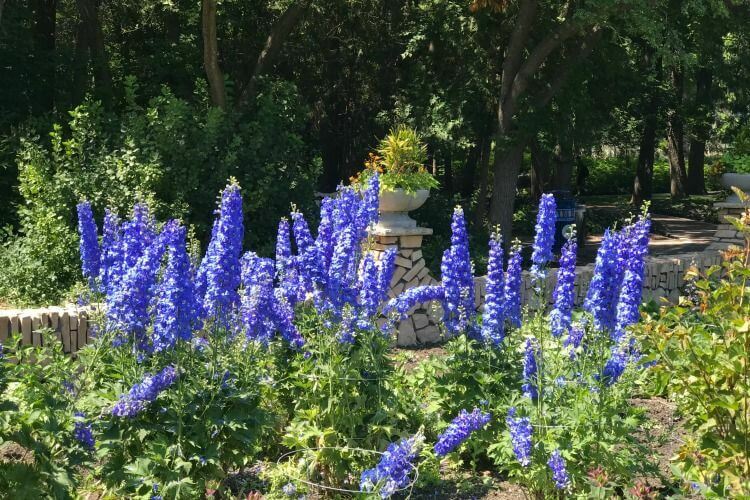 Located adjacent to the zoo, Assiniboine Park is the perfect place to spend an hour or two. 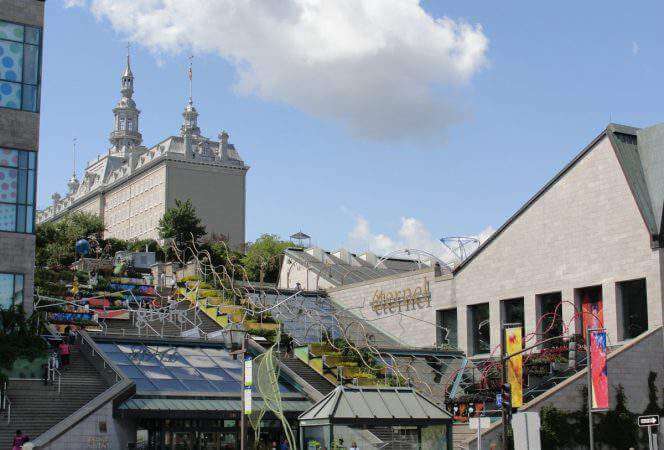 Inside the park are numerous gardens, a Lyric Theatre, a children’s playground, art galleries, and restaurants. One of our favorite spots to explore was the English Garden, where everything was perfectly manicured, and the Leo Mol Sculpture Garden. For most families the Nature Playground will be the park’s highlight with it’s multiple play structures and slides. 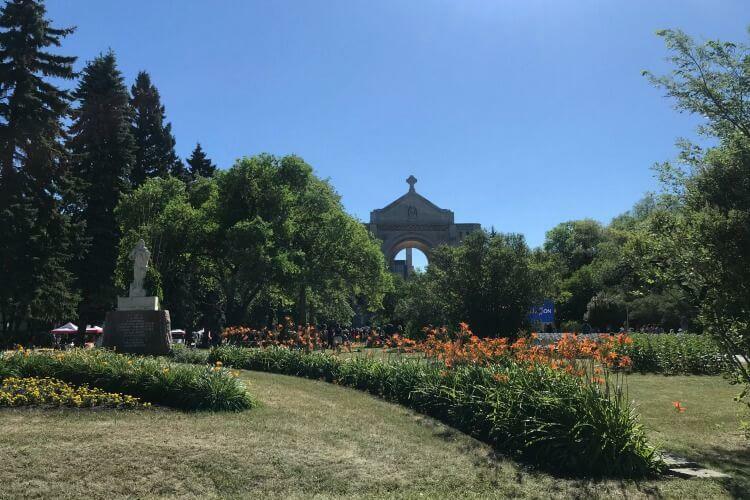 Take a picnic lunch or walk across the Assiniboine Park Foot Bridge and grab ice cream at Sargent Sundae or sandwiches/salads at Joe Black Coffee Bar. There’s plenty of open space for kids to run around in Assiniboine Park. Assiniboine Zoo spans eighty acres and is home to over 200 different animal species, from tigers to toucans. The main attraction is the zoo’s “Journey to Churchill” exhibit, dedicated to the wildlife, terrain, and conservation efforts of Churchill, Manitoba, the polar bear capital of the world. Polar bears are the stars of the show as they swim overhead while visitors walk through a glass tunnel. Other animals in the exhibit include musk oxen, wolves, and Arctic fox. To learn more about the animals and their environment be sure to catch the show in the Aurora Borealis domed theatre. Northern lights dance on the walls and visitors learn about the people and animals of northern Manitoba. 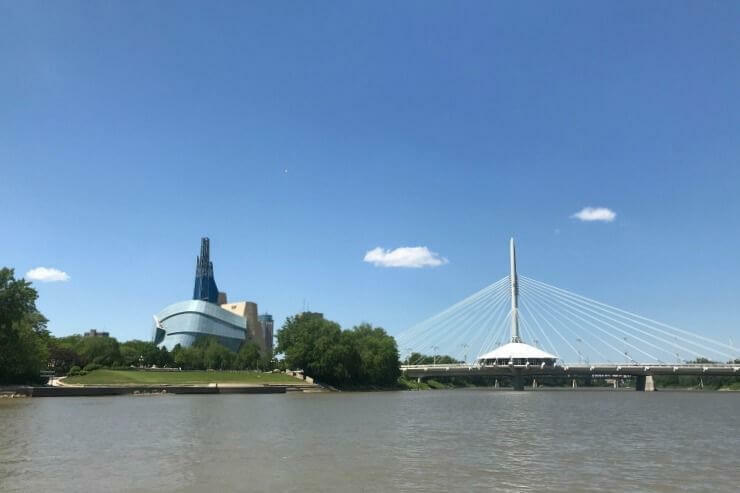 Take a walk across the Esplanade Riel Pedestrian Bridge and you’ll find yourself in the French speaking community of Winnipeg, St. Boniface. The neighborhood is absolutely charming with its cafés and boutiques, but stop at Cathédrale de Saint Boniface, an interesting cathedral that has incorporated the walls and facade from the 1908 structure which burned to the ground in 1968. Next door is Winnipeg’s oldest building, Le Musée de Saint-Boniface, which has a large collection of French Canadian and Métis (people who have European and First Nation ancestors) artifacts. We were able to catch a living history presentation while visiting and saw everyone dressed in period costumes telling the story of Manitoba’s early settlers. Spend some time exploring the French side of Winnipeg. Fort Whyte Alive is a nature preserve with an educational center, 7 km of hiking/biking trails, canoeing, a pioneer sod house, floating marsh boardwalks, and a tipi encampment. We loved wandering the trails and seeing the variety of birds along the way. 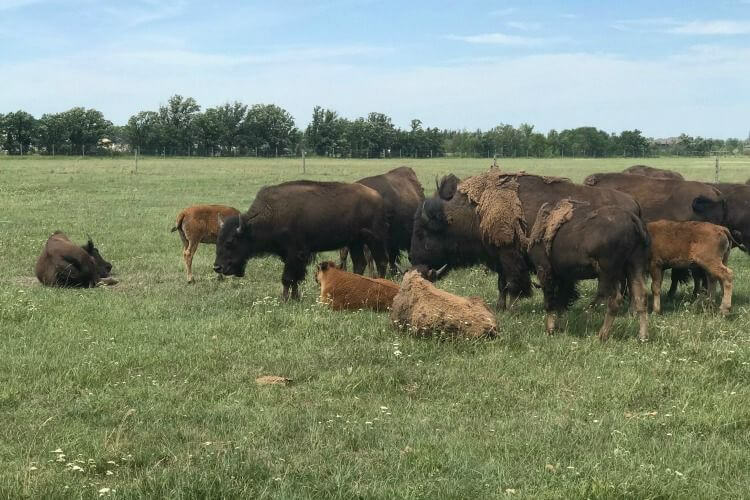 The highlight for sure, was the afternoon bison safari where we boarded a bus and drove into the middle of thirty or so bison. No one gets off the bus, but it was interesting to be near them and watch their habits. My son thought it was a lot of fun. The Manitoba Museum is a one stop shop for history, science, and nature lovers. 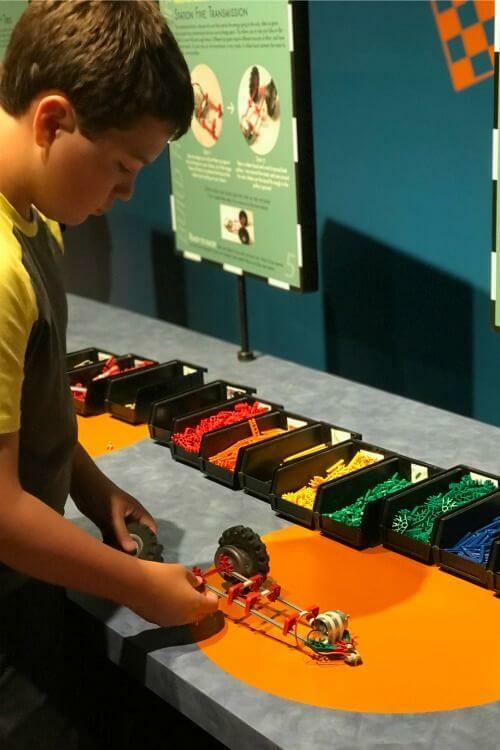 We took in a show at the planetarium, built race cars and LEGOs in the hands-on science center, and learned about Manitoba’s history as well. 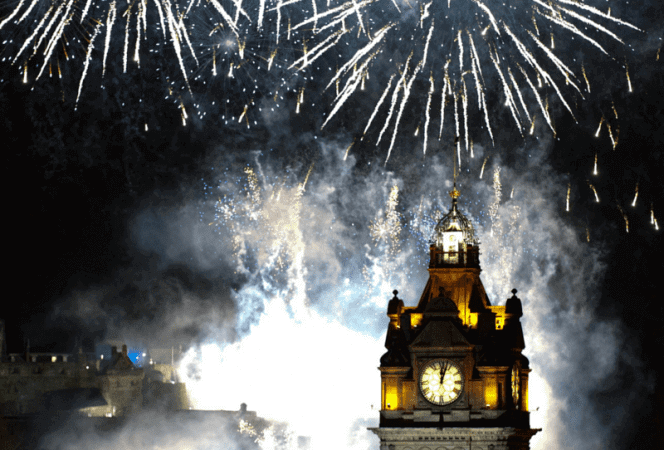 The museum is massive, and has a multitude of interactive exhibits kids will love. My son would stay here for hours if he could! Stella’s – Stella’s is a Winnipeg fixture with multiple locations around the city. We loved the maple caramel French toast and the bacon and egg croissant. The restaurant is open quite late and also serves soup, sandwiches, salad, and pasta. Across the Board Game Café – This is quite possibly the most fun we’ve had at a dinner venue. 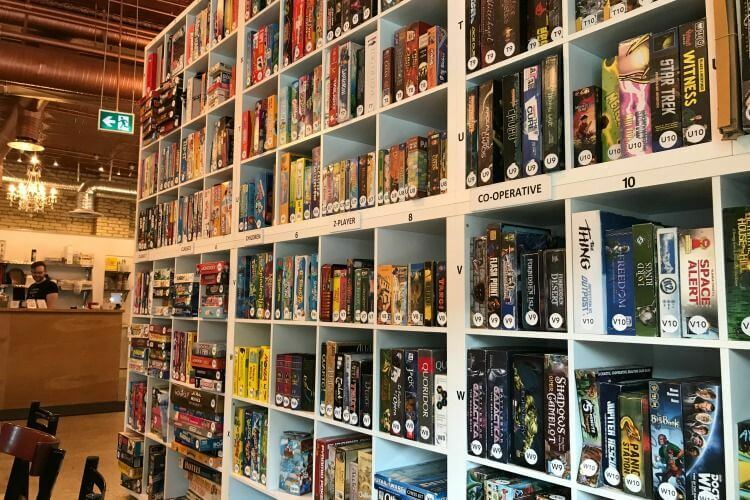 The café offers hundreds of games in its game library, and we loved having a dedicated server for the food and a dedicated handler for the games. We tried our hand at chess, Jumanji, and Quoridor. Super fun to introduce my son to new games and try some new ones myself. Bridge Drive-In – I originally assumed this was a drive-in movie theater, but it’s actually an ice cream shop. There’s soft serve, milk shakes, and unique creations from sundaes to mixed flavors. Definitely the perfect stop for an afternoon treat. Earls Kitchen and Bar – This upscale restaurant has some of the most unique and delicious flavors we tried in Winnipeg. I loved the Teriyaki Chicken Rice bowl and my son thought the bacon cheddar burger was divine. 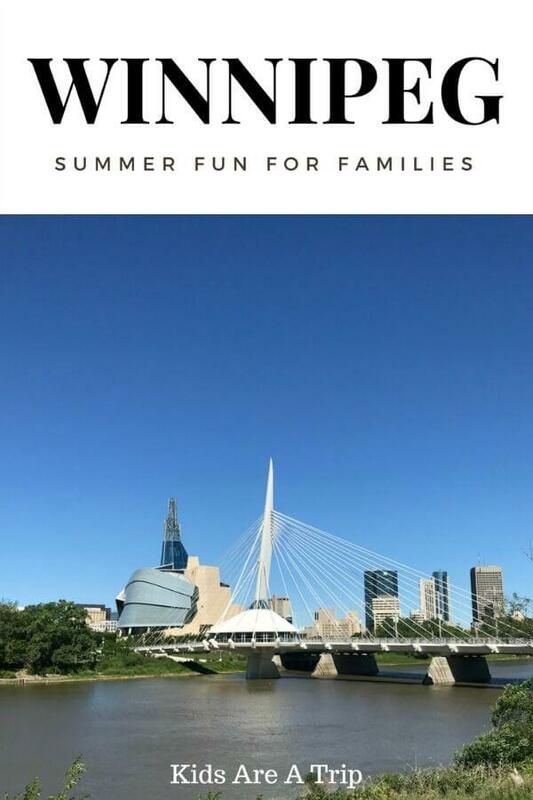 There are several locations in Winnipeg, so if you’re looking for a nice evening out for mom and dad with options for the kids, this is the place to go. Lots of choices at Across the Board Game Café. If you’re looking for hotels in Winnipeg, might we recommend Inn at the Forks, Holiday Inn Winnipeg South, or The Fort Garry. Looking for other Canada posts? 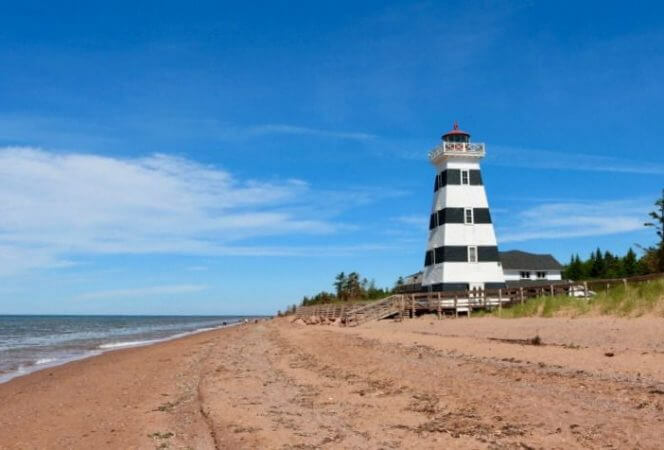 Check out our posts about New Brunswick, Prince Edward Island, Jasper, and Canada’s National Parks.